Do you own a Google+ Page you’re not maintaining anymore? Would you like to sell it? If so, you came to the right place. 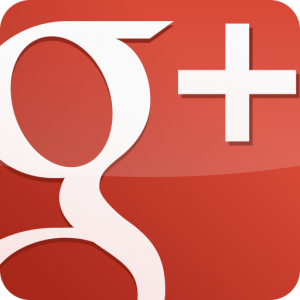 Google plus pages are similar to Facebook fanpages, so they’re quite desirable to marketers. If you believe your Google+ account is worth money, then please give us a shot. Once you submit our form, our staff will begin the process of finding a buyer, and we will pick the highest submitted offer. We will then forward this offer to you, and if you agree, we will begin the transaction. You will never have to talk to the buyer, and you will receive the payment directly from us. This way you can rest assured that your payment won’t come from “iffy” sources that sometimes get reversed. We take all the risks for you, and the buyer directly pays our commission for the transaction, this way you will always receive the maximum payout for your Google+ page. One moment! Before you continue please check if your G+ page qualifies! 30,000 +1’s (followers / fans) is our minimum. No activity = no problem, but please remember that inactive accounts are worth much less. No racist / adult / hateful content. If you believe your Google plus page qualifies, then please contact us by submitting the form on this page. We will contact you in a few hours to further verify your G+ page. We will also ask for additional information before we can find a suitable buyer. By submitting this form, you agree to our seller rules. Why do people purchase Google+ pages? As we have mentioned before, Google + pages are very similar to Facebook fanpages, and fanpages are very valuable to marketers and website owners. Owning a large group of fans (+1’s in this case) makes it easier to get your content out there, and it can generate much needed website traffic. And don’t worry, your Google+ page will be in safe hands. We go to great lengths to make sure your property does not fall into the hands of spammers. For more info visit our anti-spam policy page. How much are Google plus pages worth? Well, that is a hard question, and it cannot be answered until we accurately assess your property. It’s hard to judge something you cannot see, and not all properties are created equal, so we don’t have a pre-set list of prices. Account age, activity, the amount of +1’s, follower location, and niche are just a few factors that affect the price. So to get an accurate evaluation you will have to contact our staff via the form on this page.